This year, NYO will make its Latin American debut with conductor Marin Alsop in a program that features the world premiere of a new Carnegie Hall–commissioned work by Gabriela Lena Frank. The orchestra’s program also includes John Adams’s Short Ride in a Fast Machine and Mahler’s Symphony No. 1. 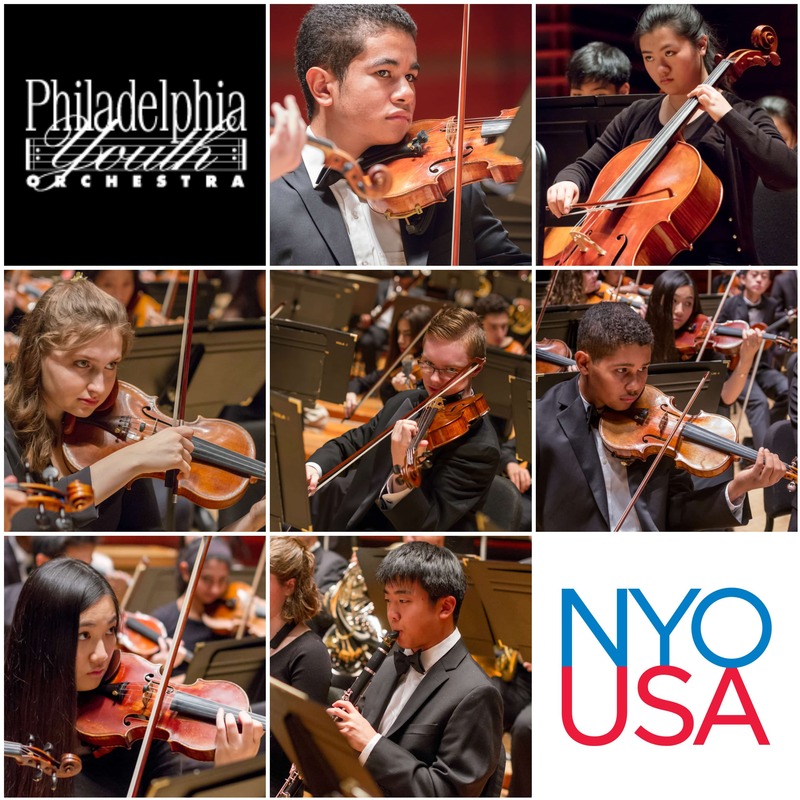 NYO-USA’s tour kicks off with a performance and recording of the classical music public radio show NPR’s From the Top with Host Christopher O'Riley at the Performing Arts Center at Purchase College, State University of New York (July 19). The orchestra then takes the Carnegie Hall stage for its annual concert (July 21), to be heard by music lovers worldwide via the Carnegie Hall Live broadcast and digital series, created in partnership with WQXR and distributed nationally by WFMT Radio Network, and streamed live online for free by medici.tv. Tickets for the Carnegie Hall performance are on sale now at the Carnegie Hall Box Office, 154 West 57th Street, by calling CarnegieCharge at 212-247-7800, or at carnegiehall.org. Following their New York appearances, the NYO-USA musicians will fly to Latin America for a tour of some of the region’s music capitals, including visits to Mexico, Ecuador, and Colombia. During a multi- day residency in Bogotá, NYO-USA will perform its own concert at the Teatro Mayor Julio Mario Santo Domingo and spend several days rehearsing with students from the Orquesta Sinfónica Juvenil Metropolitana Batuta Bogotá to prepare a joint concert. Similar residency activities are being planned in Mexico, including joint music-making with local young musicians. NYO-USA players will also have the chance to tour each city and experience the richness of Latin American culture. Launched in Summer 2013 to great critical acclaim, the first-ever National Youth Orchestra of the USA presented concerts with famed conductor Valery Gergiev and renowned violinist Joshua Bell to enthusiastic audiences in Washington D.C.; St. Petersburg and Moscow, Russia; and at the BBC Proms in London, England. The 2014 orchestra, led by dynamic American conductor David Robertson with virtuoso violinist Gil Shaham as soloist, made its debut at Carnegie Hall in New York City, followed by a coast-to-coast U.S. tour to Tanglewood in Lenox, Massachusetts; Boone, North Carolina; Chicago, Illinois; Jackson Hole, Wyoming; Sonoma County, California; and the Walt Disney Concert Hall in Los Angeles, California. In 2015, NYOUSA, with conductor Charles Dutoit and pianist YUNDI, made its debut in China, performing at some of the country’s greatest concert halls in many regions of the country, including concerts in Beijing, Shanghai, Suzhou, Xi’an, Shenzhen, Guangzhou, and Hong Kong. In 2016, the orchestra performed at Carnegie Hall with conductor Christoph Eschenbach and pianist Emanuel Ax before embarking on a European tour that took them to Amsterdam, Montpellier, Copenhagen, and Prague, led by conductor Valery Gergiev and with pianist Denis Matsuev.